Why Are Professional Tutu Makers In Such Short Supply? People who love attending ballet performances go not only for the music and the excitement of the theatre atmosphere, but to see the costumes. When the curtain goes up and the ballerina makes her first debut, I think, that’s a stunning costume, or, hmmm, the skirt looks a little bit droopy. I don’t think about the sewing table, the sore fingers that stitched each crystal into place, the tired eyes at 3am working diligently to make a deadline. Somebody made that garment; either specifically for the dancer and that performance, or it has been lovingly kept by a costume department within the company.Unfortunately, both professional tutu makers and those who know how to maintain, repair and store ballet costumes are falling in short supply. After the publication of this article , Dearth Of Tutu Makers Puts Ballet In Crisis, we need to reflect on the real possibility that the world is going to run out of people who know how to make classical tutus. We need to figure out why tutu making is a dying art in our modern world. We need to grow a new generation of passionate couture professionals dedicated to this niche of garment making. Do you enjoy sewing garments for yourself? Perhaps you grew up in a generation where learning the basics of sewing was including in your school curriculum. If you did, you can appreciate anything made by hand or that involves intricate sewing details. Your Home Economics teacher was probably skilled on showing the class how to make simple aprons, button down blouses, a-line skirts and chemise dresses. A garment like no other. Tutus have very little wearing ease. Straps can only be adjusted so much before they start tugging the costume upwards uncomfortably and limiting arm and shoulder movement. Creating longer straps lowers the bust points and puts the dancer in danger of ” over exposure” on stage. Attempting a major width or length tweak to a bodice means creating a brand new tutu skirt foundation to fit it. Prepare to purchase and pleat new netting. Unlike regular clothing, any tucks or adjustments have to hold up under strenuous movements and pass strict ballet aesthetic requirements. That’s too tall of an order for any civilian sewer. Once the skirt is attached, that’s it. A closer look inside the tutu skirt. Tutu and netting attached and prepared for the bodice. A complete ensemble with bodice attached to skirt. 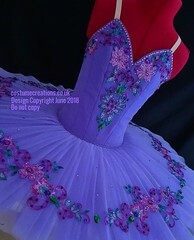 This remarkable attention to detail gives us another great reason why professional tutu makers are such a rare commodity. In this rush, rush, hurry, hurry world of ours, children learn to expect instant results and few cultivate the extra patience required to enjoy things that progress slowly. It’s amazing how many forums and videos are out there that revolve around tutu making and its challenges. Many people never get past making simple frilly skirts for a little girl or for a pet Chihuahua. If all these sewers find it challenging to make a play skirt, imagine what they would face making a professional garment. Even my dog wont wear that…. She sees a pretty tutu somewhere and thinks it would be fun to make one on her sewing machine. After all, how hard could it be? She goes to the fabric store and buys thread, netting and notions. Panic sets in. Questions come. Can I sew netting on my machine? Will it clog up my feed dogs? How long should I cut the netting? Does netting unravel? Should I use pinking shears? How do I pleat it? How are the layers made? Why does it droop? The Internet search begins. She looks for tutu patterns and video tutorials, reads blogs and joins forums. Tutu making then becomes a fascinating challenge in working with difficult fabrics, not the salute to ballet tradition it deserves . Economical Fear– Have you ever heard the term starving artist? Many folks look at artistic jobs as too risky in today’s expensive economy. Today’s young students are encouraged to study for careers that come with high salaries and lots of benefits fresh out of college. You simply don’t see Billionaire tutu makers showing off their private yachts and mega-mansions in Forbes Magazine. Lack Of Educational Support-Career Guidance Counselors can only recommend a basic Fashion Design school for students that are interested in sewing and designing. The tiny world of niche design for Classical ballet is not connected to the general public school system. Lack Of Appreciation For Ultra-Specialised Trades-We never realise just how important niche specialists are until we need them! They are an elite, special group of people who happen to know things that most of us don’t. 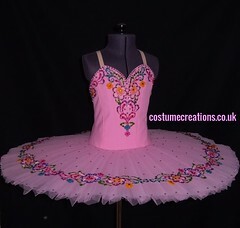 Political And Social Reasons– Although there are male costume designers, most tutu makers are women. Female hands are built for the delicate motor skills required for hand-sewing. Unfortunately, the feminist movement downplays the value of anything traditionally feminine. A ballerina wearing a Classical tutu is the epitome of beauty, charm and femininity. Some girls run from the frilly and frou frou because it’s too “girly”. Perceived Value Of Skill Sets– Generations ago Mothers and Grandmothers taught girls to sew when they were very young. Why? Because it was a valuable skill. You were a prime catch in the marriage department if you could sew fine stitches, bake perfect cakes and keep a clean, lovely home. The modern girl with feminist ideology can look at these skills as old-fashioned and unimportant. The Digital Revolution-One of the biggest reasons why couture professionals are rare is what they represent to a fast-paced society. With high-speed Internet, fast food guaranteed in 30 seconds or less, overnight mail delivery, instant messaging, live streaming, 24-hour stores and schedules cram packed with activities from morning til night, kids grow up thinking that lightning-fast results are all that matter in life. Ballet Training Expectations– Millions of girls around the world take ballet lessons. They are inspired by watching professional ballerinas. They can’t wait to go on pointe. They cant wait to be fitted for their first tutu. 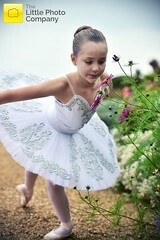 They sign up for ballet classes to wear tutus , not to wonder how they are made. However, when a student finds they are not cut out for a career as a ballet dancer, they may explore other dance-type occupations . 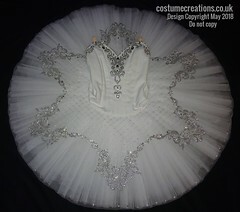 How long does it take to construct a professional Classical tutu?It can take a designer 2 weeks to make just one tutu. This is how long it takes to measure the dancer, source the materials, plan the design, hand pleat the netting and sew the accents on by hand. In the scheme of things, this sounds like a long time and it is. However, if this is how long it takes to make one couture tutu as a well-seasoned expert, you can imagine the extra time needed when you don’t have decades of experience. An absolute love, passion and respect for ballet traditions. Advanced sewing skills that include couture techniques. A work ethic where shortcuts are not an option. 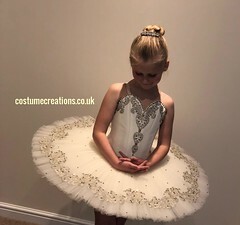 How many people do you know that are former ballet students, naturally gifted with artistic talent, driven to create, perfectionist, self-disciplined, patient and have high-standard sewing skills at the couture level? 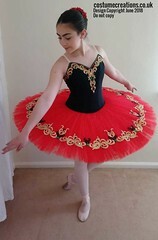 The professional tutu maker has to have the right combination of background, skills, talent and personality type. It’s no wonder that few people can fit this mold. What exactly is the ballet world going to do about this problem? Are there any practical solutions? 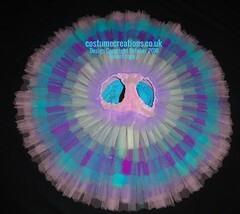 There are schools out there that offer courses in tutu making, but many of the classes only cover the basics, last just a few weeks and only allow a tiny handful of students. 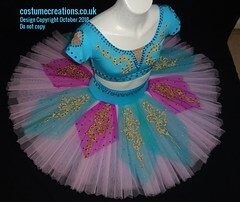 There are established tutu makers online that offer tutorials and short 2-day classes. The problem? It would be very hard to feel confident about yourself as a “professional expert” with such miniscule training. To be fair to the tutu maker, there can be a good reason for short classes. I will talk more about that later. Increase Awareness Through Media-Articles, social sites and videos are a great way to let the world know that tutu makers are in short supply. This in turn creates curiosity and perhaps even interest or solutions. I am finding more and more people talking about tutu maker shortages online. Create Professional Apprenticeship Programs– In the United States, businesses can petition the Government to create an apprenticeship program for their business complete with a tax break perk. Large ballet companies have the opportunity to create/ offer 2-year training through the expertise of their costume department. After completion, the students can be placed with companies per contract. Start A Grass Roots Movement To Reinstate Sewing Into Our Schools– There is no doubt that when public schools stopped teaching Home Economics in the 1980’s, millions of young people lost the wonderful experience of working with textiles in a creative way. Being exposed to sewing machines, patterns and fabrics when young is an invaluable skill. “Teaching a child to sew is a practical lifetime gift”. Reading about tutu-maker shortages, I used to wonder why we couldn’t just build accredited schools that offered Classical tutu making as a 2 or 3 year course. After thinking about this idea for a minute, I realised how many dangers there are when a skill this precious gets into the hands of the general business community. Profit Becomes The Focus– Tutu making franchises? Horrors! Sadly though, when a company makes money, here comes “investors”. Investors demand profits. That means 50 students to a class and cheap materials from China. The love and respect for ballet traditions flies out the window. The granddaughter of the Chief Board Of Directors will be chosen as the tutu “professional” to keep money going into the family coffers. Cookie-Cutter Designs-Let’s pretend Alice graduates from Tutu University along with 50 others. Some go off to start their own businesses. Because none of them got one-on-one attention, they aren’t quite sure they know what they are doing. All 50 will copy the same exact design concepts they were taught and pass them on. End result? Flooding the market with thousands of tutus that look exactly the same. Attracting The Wrong People-Making profitable trade schools or franchises will guarantee that people will sign up to learn this wonderful trade for all the wrong reasons. They will be seeking a means to an end, not expressing their absolute devotion and love for ballet traditions. When 75 year-old Grandpa Jones signs up for tutu-making classes so he can open a franchise, client fittings are going to be a tad uncomfortable. The truth is that many ballet students absolutely adore the art, but already know they probably won’t be doing fast fouettes up the dance ladder like another Alina Somova. Ballet theaters, if you are still giving performances, the chances are good that already have somebody that cares for your costumes. You also have access to a professional tutu maker. 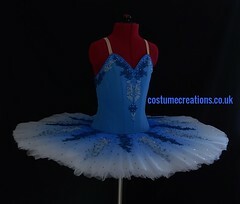 Connect your costume maker with potential candidates that are already there. Post flyers in your dressing rooms and hallways; let it be known to students who are considering quitting that there are options for staying in the world of ballet. Scout around, ask questions. Give exit interviews. Desperate times call for desperate measures! You never know which one of your students or corp members has artistic talent, knows how to sew and would LOVE the chance to learn tutu making. The basics are there in your candidates; ballet training, understanding music and technique, how choreography works, rehearsal experience, role-playing and costume handling. There are long-held traditions of standards in ballet. These traditions and skills have always been handed down from the expert to the apprentice. This is true for ballet training, pointe shoe cobbling and tutu making. The one-on-one training guaranteed high standards of construction and a continuation of purity of design. The teacher could examine the passion and seriousness of her student up close. She could evaluate the sincerity and trustworthiness of her apprentice. Let’s find out why this is so important. It’s easy to think that we can solve the shortage by expecting any and all professional tutu makers still alive to get out there and start teaching. Why don’t they? For very good reasons. Yes, time constraints are one reason, but there are others. Friendly, innocent-looking students will take what they learned and undercut established clientele bases by offering huge “discounts” or by trying to ruin a reputation. It takes decades to build up a business. Why should a tutu maker risk her livelihood ? Successful designers are constantly victimised by image copyright violations online. Unethical people advertise the tutus made by others as their own. This again puts tutu makers on guard to protect their designs at all costs. Do you blame them? For professionals, their garments are their Picassos, their Michealangelos and their Rembrants. Just like art, they are coveted, copied, stolen and used for exploitation. 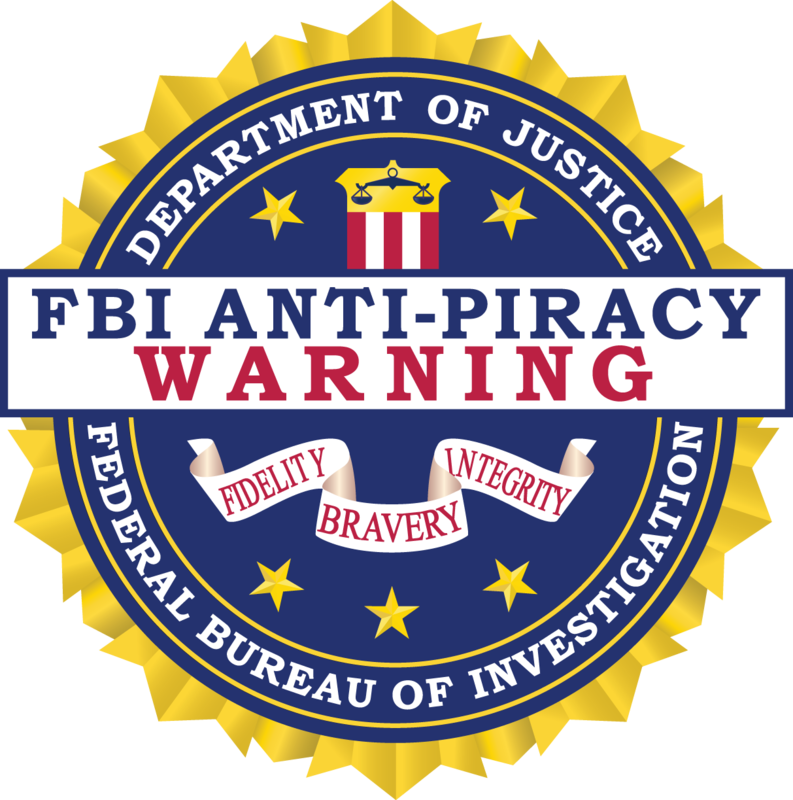 There is a sinister underworld out there for anyone who makes beautiful things; thieves, copycats and unscrupulous competitors. This creates a barrier to the free exchange of ideas and methods between a professional tutu maker and those who want to know her costume making secrets. She may well let herself become extinct before she gives those away to just anyone. Bad apples have spoiled it for the whole bunch. In my opinion, individual ballet theaters are in the right position to take responsibility for advertising, recruiting, training and employing the next generation of tutu makers. We need to look within the dance community for answers. We as humans don’t appreciate things until they are scarce and hard to come by. The ballet community has taken for granted its supply of tutu makers. We allotted our budgets for custom-made pointe shoes and fancy theatre tickets never noticing the stooped shoulders, graying hair and tired body of the comforting figure in the wardrobe department. How quickly and easily we thought she could be replaced. Not understanding the years it takes for even one to rise to professional status, time slipped away without replenishing our cupboards or even noticing our shelves were getting bare. Now the ballet boat is sinking and we are calling out an S.O.S. a brilliant in depth review of this rare profession. An excellent suggestion that ballet companies recruit artists with the relevant knowledge and understanding of ballet. Do you know of a school or workshop that offers basic lessons. I have a sewing back ground. I am looking to learn how to make tutus a profession. I would suggest going to classical ballet performances and studying what is really required on stage as a first step. A thoughtful piece. There are many similarities in the costume making world. I need sew professionally, General aides wear. I was never encouraged at school to consider sewing as a career which i find very sad as that was decades ago and things are only likely t have made it less likely to be suggested. Brilliant article, I hope that the tide will turn and encourage people to learn these niche trades.